Agentdesks, a mobile-only customer relationship management platform for real estate agents, has raised $2.95 million in seed funding from a clutch of investors including Sierra Ventures, Cota Capital and Vegas Tech fund. The development was first reported by The Economic Times. Biju Asokan, the company's CEO, confirmed the funding but did not share any details. Agentdesks would use the money to strengthen its engineering team based out of Bangalore. Agentdesks also has presence in San Francisco and focuses primarily on the US market, where most of its 1,800 active users are based. Carnegie Mellon graduate Asokan founded Agentdesks in January with Vijay Bharath and Sanya Gurnani. It was incubated at New York-based accelerator AngelPad in late 2014. 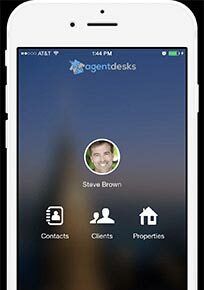 The Agentdesks app allows real estate agents to manage contacts, properties, requirements and communication on the go. The app provides features including keeping track of new leads, tracking previous client interactions, personalised communication, recommending properties with shared emails and links. Realty agents can also create tasks and notes and integrate reminders with the calendar. Agentdesks competes with the likes of Bangalore-based HomeBuy360, a sales life-cycle management platform that connects developers, agents and buyers, which was acquired by Housing.com in August.